The Federal Reserve will wrap up its second policy-setting meeting of 2019 on Wednesday, where it is not expected to raise rates. But as the Fed continues to signal the need for “patience” on monetary policy, some market participants are wondering if economic conditions could worsen to a point where the Fed would need to cut rates. Although no changes are expected on rates this week, Fed Chairman Jerome Powell’s outlook could provide more clues as to whether or not a cut could be on the horizon. As of Tuesday afternoon, fed funds futures were pricing in a 98.7% chance that the Fed maintains the target interest rate in a range of 2.25% to 2.5%. That left a 1.3% chance that the Federal Open Market Committee cuts rates by 25 basis points. Most analysts don’t expect a rate cut in 2019 — let alone in Wednesday’s meeting — but some are the leaving the possibility of a rate cut on the table for 2020. Those with a gloomier outlook feel that worsening economic conditions will push the Fed to cut rates while those with more optimistic projections feel the Fed can hold steady or even raise rates. The inflection point comes as the Fed remains on pause amid warning signs in tightening financial market conditions. Combined with tepid inflationary pressures and a possible slowdown in China and the Eurozone, Powell had the central bank adopt a wait-and-see approach to guide future policy. Powell has said policymakers will let data inform the next steps on monetary policy, meaning that interpretations of recent statistical releases are key to projecting future rates. RSM chief economist Joe Brusuelas wrote March 19 he sees a toned down picture in the data, pointing to drifting inflation expectations and “weakness” in the current pace of economic growth. Michael Pearce at Capital Economics similarly wrote March 15 that its bleaker outlook calls for a rate cut next year. “We expect no further hikes, but where we differ most is in expecting economic growth to remain below trend this year, which we think will prompt the Fed to cut interest rates next year, and by more than is currently priced into markets,” Pearce wrote. Goldman Sachs wrote March 15 that Q1 GDP will likely be “quite weak” and predicted that inflationary pressures will continue to be subdued, two points that make the odds of a rate hike “look quite low” for the first half of this year. But at the same time, Goldman wrote that they see a rate hike as somewhat more likely than not in the end of this year, making the case that the Fed would raise by 25 basis points only once this year, if at all. The odds of a rate hike increase headed into 2020, Goldman wrote. In the fourth quarter of 2020, they predict a 20% chance of cutting rates. The dot plots will hold the key to modeling a possible future rate cut. Tomorrow the Fed will release its first set of economic projections in 2019, which will reflect policymakers’ changed views since Powell shifted the monetary policy strategy from gradual rate hikes to a patient pause on rates. 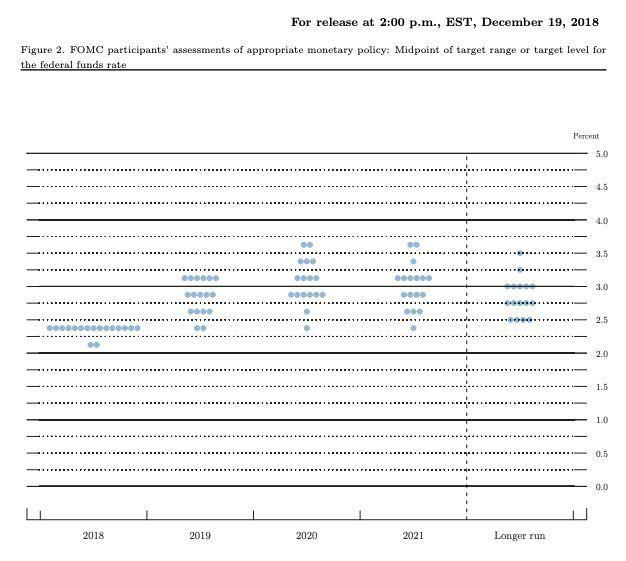 Market participants will be closely reading the dot plot projections, which map FOMC participants’ predictions for where they see the target federal funds rate in the next three years. Ken Matheny, senior economist at IHS Markit’s Macroeconomic Advisers, told Yahoo Finance that he expects the median dot for 2019 to show one rate hike, cautioning that he also does not anticipate a “big move” toward a rate cut in this year or 2020. “I do expect there will be some downward adjustment in the dots,” Matheny said. The dot plot release comes as Powell actively attempts to de-emphasize its interpretation. Implemented to help market participants understand the Fed’s commitment to normalizing rates, the dot plot may not hold much value once the federal funds rate reaches the “neutral” level where policy is neither stimulative nor restrictive. Some FOMC voters have said they see the current federal funds rate right at the neutral rate of the economy. Powell has launched a review of its use of dot plots, and has publicly described the dot plots as a “source of confusion” at times. 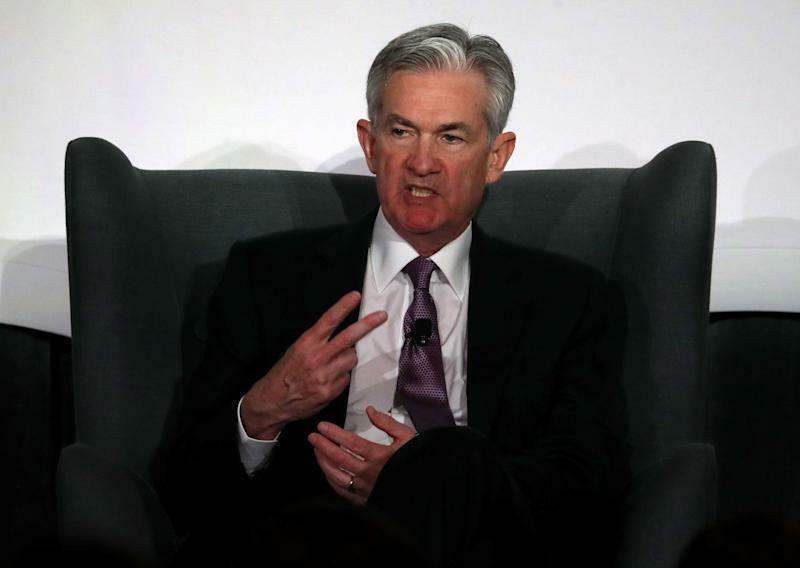 “If the Committee remains largely out of the business of explicit forward guidance, we will need to find other ways to address the collateral confusion that sometimes surrounds the dots,” Powell said March 8. Regardless, if dot plot projections on Wednesday tilt lower than some expected, the case for a rate cut could earn some credibility. If the dot plots show a more optimistic outlook, that argument could lose some water.